Resolving the Arab - Jewish conflict: Palestine - Sharon's Gaza Gambit - Brilliant Move Or Tactical Disaster? Palestine - Sharon's Gaza Gambit - Brilliant Move Or Tactical Disaster? The end of the eight day bombardment of Israel’s civilian population by hundreds of rockets indiscriminately fired from the Gaza Strip has caused many respected commentators such as Caroline Glick to roundly criticise former Israeli Prime Minister - Ariel Sharon - for having unilaterally disengaged from the Gaza Strip in 2004 by withdrawing its army and 8000 Israeli citizens - many of whom had lived there for almost 40 years. ... To force this mad initiative through, Sharon had to explicitly disavow the platform he was elected to implement. Sharon won the 2003 elections by pledging never to surrender Gaza." Was Sharon’s decision indeed an “insane policy” or rather a brilliant gambit by Sharon with Israel’s long term national interests uppermost in Sharon’s mind? Israel has certainly paid an enormous price in deaths, injuries and ongoing trauma resulting from more than 8000 rockets being indiscriminately lobbed from Gaza into a target area covering one million of Israel’s civilian population since Sharon’s fateful decision eight years ago. The civilian population of Gaza has also suffered as Israel has responded to protect its civilian population against such attacks. A bewildering number of terrorist groups has since sprung up in Gaza like mushrooms - all hell bent on indiscriminately terrorising Israeli Jews and Arabs as well as foreign workers in pursuit of their heinous objective of wiping the Jewish state off the map. The Hamas Government has done nothing to prevent such rocket attacks against the civilian population of Israel - initiated in many instances from schools,mosques, homes and hospitals located within Gaza’s civilian community - all of which actions constitute war crimes under international law. However Caroline Glick and those other commentators joining her on the Sharon blame game bandwagon all fail to acknowledge the written commitment Sharon obtained from American President George W Bush on 14 April 2004 to enable such Israeli evacuation from Gaza to occur. “We welcome the disengagement plan you have prepared, under which Israel would withdraw certain military installations and all settlements from Gaza, and withdraw certain military installations and settlements in the West Bank. 3. The Palestinian refugees would have to be resettled in the new Palestinian State rather than in Israel. The Bush commitment now takes on added importance as the PLO seeks to commit political suicide by embarking on its third unilateral action outside of and in breach of the Oslo Accords and the Bush Roadmap within the past thirteen months - this time to secure recognition of the State of Palestine as a non-member observer state at the United Nations. 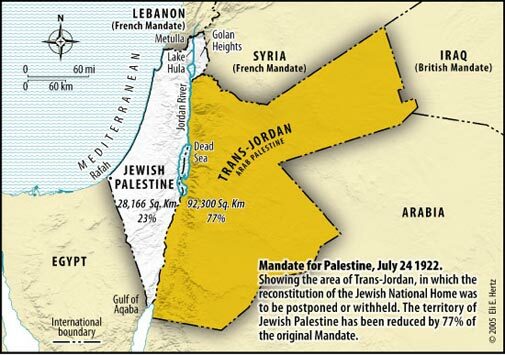 It seems to matter little - as was also evidenced at UNESCO - that there is no Palestinian entity meeting the requirements prescribed by international law for statehood - specifically the Montevideo Convention 1933. President Obama has yet to definitively declare that he remains bound by President Bush’s 2004 commitments to Israel. Congress needs to demand that President Obama honour America’s above assurances. Disavowing the commitments of one President and Congress by another President and Congress would be the height of diplomatic treachery. Honouring the Bush commitments is crucial in ensuring that the sacrifices made by Israel’s population following Israel’s unilateral disengagement from Gaza in the pursuit of peace have not been in vain. President Obama and the Congress hold the keys to determining whether Sharon’s decision to disengage from Gaza was a indeed a brilliant move or a tactical disaster.